This stocking will hold lots of goodies! 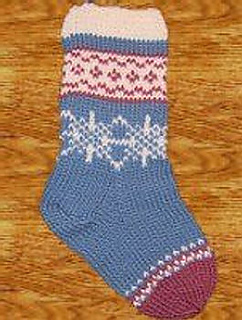 Quick to knit in a bulky weight yarn with simple motifs and a snowflake pattern. 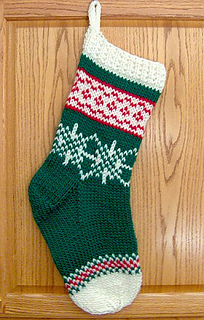 Use 3 colors as shown or add more for a unique stocking. 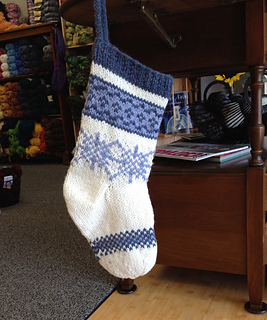 Knitting is done primarily on a 16 inch circular.